You can to many you sound not at all, but MakerBot It is a company that has some years dedicated to the manufacture of 3D printers for the domestic market, those that allow us to reproduce small objects at home with materials usually plastic or synthetic resins. Have now presented their new version of “magic box” capable of physical modelling in 3D, the Replicator 2, larger than its predecessor, faster and with a considerable increase in resolution that will delight lovers of DIY (do it yourself). The main improvement of this Replicator 2 with respect to its predecessors, as well as being a 37% larger allowing you to build higher-dimensional objects, lies in the resolution of the layers of plastic used for modeling objects. Previous versions had a 270-Micron resolution, while the new amounts to the 100 Micron, more or less the thickness of a sheet of paper, which is to create figures with a soft touch, without roughness or impurities. Also it has improved the software part that is easier and more convenient to use and don’t have to be experts in 3D modelers to take advantage of the machine. In fact we can simply opt to download the models that people share on the network and copy them quickly without more complications. In addition, the plastic material used is completely eco-friendly, since it comes from corn. The main problem? 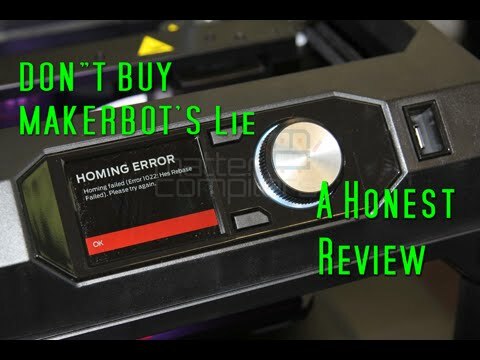 As though from MakerBot, they claim that they are paying close attention to the issue of price, since they want to make this type of printers in a short time in something as normal as the ink, moment is still expensive for the user of a foot (if we are design professionals this perhaps not much of a problem), since some costs $2,100 and it will be available from this same October. No doubt a future technology that still many fringed by polishing, but which today is already perfectly valid for many jobs. In addition, according to put on your website already are thinking about new models, such as the Replicator 2 X It will incorporate a double ABS plastic extruder and will be released in 2013.